For those of you who are living life sober, planning a vacation might make you a bit uneasy because there tends to be so many destinations known for partying. The good news is that there are many destinations that do not focus on parties and you can prepare yourself for sober traveling. 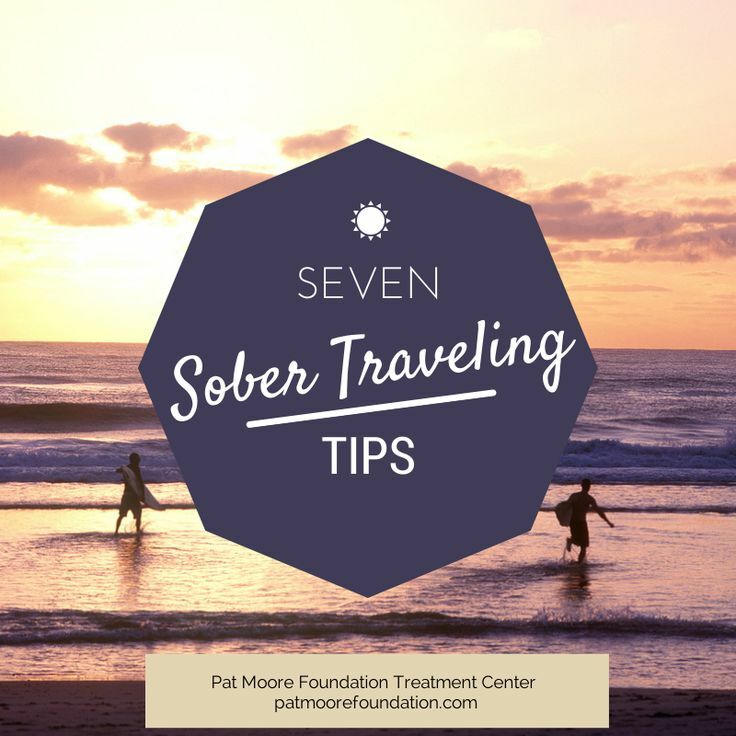 Here are some tips for those who wish to vacation sober. 1. Avoid destinations known for partying. It’s best to avoid major party cities like Las Vegas, New Orleans, or perhaps Cancun. Try to find low-key destinations like quiet beaches or beautiful mountain trips. There are plenty of relaxing, exciting, and fun destinations to go to, so be sure to do your research when planning your trip. 2. Utilize a sober vacation group. Did you know there are sober vacation groups that will assist you in making plans to a destination that keep sobriety in mind? Sober Vacations International is a wonderful business that will help you plan a vacation that suits your needs. Try a cruise to Alaska or hit the Galapagos Islands for some fun in the sun! Sometimes it is easier to fight the temptation to drink when you are with an accountability partner. Be sure that this person is trustable and will hold you accountable for your actions. If you don’t know someone who could play such a role, attend a 12 Step group in order to meet some new people. Traveling alone is not a bad thing, but traveling with a friend can lessen the desire to drink. If you find yourself bored, that could be a trigger to drink, so be sure you plan plenty of activities to keep yourself busy. It’s always a good idea to research the area ahead of time so that you can learn what activities are available. Depending on your destination, you might want to do a few excursions like snorkeling, hiking, or take a dinner cruise while you’re away. 5. Choose a vacation that is not stressful. If you’re full of anxiety, you’re more apt to want to reach for a drink, so avoid high anxiety vacations. If flying abroad would be a bit much for you, plan a vacation closer to home. If the city life will bring you much anxiety, choose a quiet and quaint vacation spot. The less stress, the better. 6. Have support system on standby. It’s a good idea to have a couple of people you can call should you need to talk to someone or if you feel like drinking. This could be your sponsor or a trusted friend. You might also want to take an inspirational book that you can read to encourage you each day. Feel free to let someone know when you’re struggling so they have the opportunity to help you out and encourage you to keep your sobriety. 7. Travel with your family. Plan the family vacation that you’ve been talking about and fill it with fun-filled activities. Take some time to delight in each other and just lounge around with nothing but fun and relaxation on your mind. Family vacations are great investments! Go ahead and keep these tips in mind when traveling.Vacations are certainly helpful to break up the monotony in life and take a break from work, so be sure that you plan well and prepare for a sober vacation that allows you to relax and have some fun.